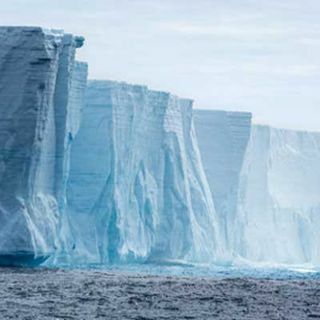 Reg.AMoney.com: Just like Icebergs form after a period of thousands of years, issuing Reg.A+ paper doesn’t happen overnight. A lot of thought is required to put forth a strong regulation A+ offering – therefore a poorly thought-out Reg.A+ deal is doomed to failure. But what are the elements involved in creating a strong Regulation A+ offering that investors would clamor over? In Part 2 of this “Reg.A Money Show” podcast, we go through some essential steps and nuances to consider for all the ... Maggiori informazioni “Reg.A+ contenders” and anyone interested in creating a Reg.A offering to raise money for their company. These are the critical components and elements that are essential to set you apart from another “Me Too” company, instead of a company that clearly defines its goals, purposes, and tells a compelling story that fully explains the problem or issue your company is there to solve... and how you intend on solving that issue – all without “over-selling” or embellishment. Plus, you still have to run your company during the entire process, which is why partnering with knowledgeable Reg.A+ consultants works so well for many. We spoke about what Reg.A+ deal will shatter the $50 raise threshold in 2018 in Part 1 of this show, but make no mistake: Do you want your investors to have confidence in your business plan? Then ANY company who wants to succeed in Reg.A+ must heed and understand the information presented on this podcast.